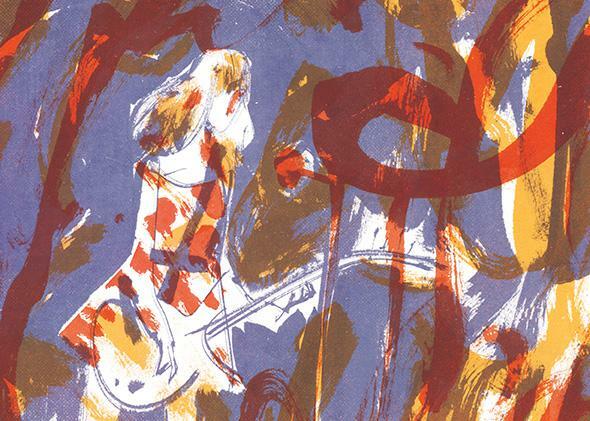 Kim Gordon’s memoir Girl in a Band, reviewed. 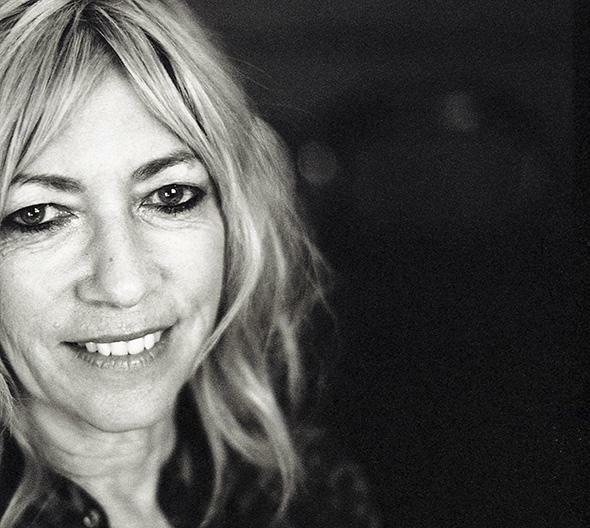 Getting close to Kim Gordon, during her 30-year career in Sonic Youth, never felt easy. She was cool, in both an aesthetic sense and an emotional one. She seemed tough in general—tough to talk to, tough to decode. Onstage, Gordon was restrained, in sharp contrast to Thurston Moore’s showy guitar theatrics. I still vividly remember a Sonic Youth concert I saw 20 years ago, and how Gordon stood completely still, firing her vocals at the audience in a staccato monotone, like she was tapping in Morse code. The one time I interviewed her, in 2004, she seemed icy and withdrawn. Gordon’s spare, unadorned writing style makes the occasional flourishes stand out. The descriptions of New York City, where she first moved in 1980, are poetic and memorable. “When I first drove down the Hudson Parkway it was bumpy and nerve-wracking, as if your car were being shot from a pinball machine down a slope into some rough forest,” she writes. “It was all unknown and possibility.” Writing about New York, as Gordon explains, isn’t easy. “Not because memories intersect and overlap, because of course they do,” she writes. “Not because incidents and times mix with others, because that happens too. Not because I didn’t fall in love with New York, because even though I was lonely and poor, no place had ever made me feel more at home. It is because knowing what I know now, it’s hard to write about a love story with a broken heart.” It’s easy to imagine to whom else she refers. There is so much that Kim Gordon seems to loathe, or at least be annoyed by, in this book—Lana Del Rey, Moore’s new partner, Billy Corgan, the shiny new New York—that you begin to wonder: What does Kim Gordon like? What does she love? Her descriptions of the people closest to her often seem cool and detached, and sometimes it’s hard to grasp the passion underneath. A description of the life and tragic death of her longtime friend, the artist Mike Kelley, reads almost like a newspaper article. It’s probably—quite understandably—too painful to express in words, but sometimes the book feels as though she wrote it in shorthand: a list of names with the sentences barely filled in, as if we should already know the story. She discusses her long history in Sonic Youth mainly through describing various songs. “I could barely hold it together during our first song, ‘Brave Men Run,’” she writes of Sonic Youth’s uncomfortable final tour. “At one point my voice fell like it was scraping against its own bottom, and then the bottom fell out.” The song, as many Sonic Youth fans know, is one of the high points of the group’s 1985 album Bad Moon Rising; Gordon wrote the lyrics in a tenement apartment on Eldridge Street in New York, where she was living with Moore. To a reader familiar with Sonic Youth’s music, the song, referencing the stoic women in Gordon’s own family, feels charged with meaning, but this is one of many points in Girl in a Band where a non-fan could feel lost. Girl in a Band by Kim Gordon. Dey Street Books.